Microsoft Office is an extremely strong platform for small businesses and one which we fully endorse and support here at Net Primates. Launched in 2011, Microsoft Office 365 superseded the previous, lesser-named Microsoft Office, which comprised the first ‘bundle’ of products issued by the tech giant. Our Technical Director, Rupert Walmsley, learnt his trade in the less heady days when ‘bundles’ were something you folded your bedsheets into… the days when Microsoft Word and Microsoft Excel were provided as individual pieces of software. Remember those days??? Vacating our office for a few days, Rupert joined a bunch of like-minded technical wizzes from around the UK, to take (and pass) examinations in ‘Enabling Office 365 Services’ and ‘Managing Office 365 Identities and Requirements’. In recognition of his achievements Rupert has been awarded the prestigious title of ‘Microsoft® Certified Solutions Associate: Office 365’. By continually updating our knowledge ensures that Net Primates can provide you with the in-depth support that you need, when you need it. Recently this has allowed us to improve our ‘deployment of software’ process, update our security capabilities and provide even greater troubleshooting support. 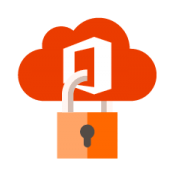 Would you like to upgrade your systems to include Microsoft Office 365? Or would you value some additional support to make the very most of the platforms’ capabilities? If so, just get in touch!